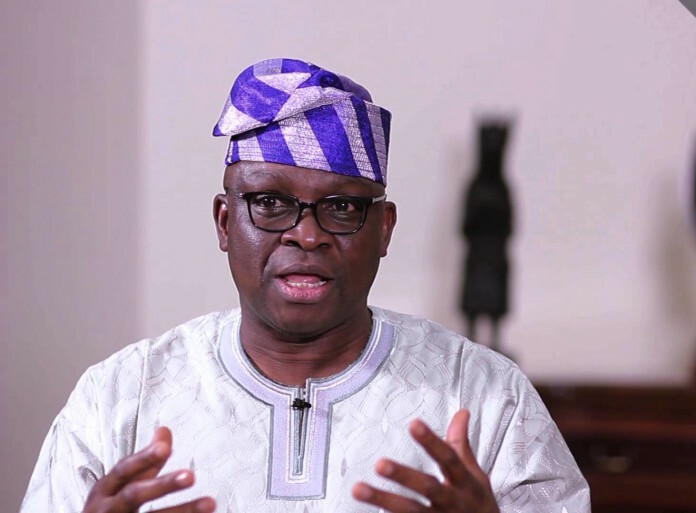 A Federal High Court sitting in Ado Ekiti, the Ekiti State capital has commenced sitting in an application brought before it by Governor Ayodele Fayose over the freezing of his accounts. Two personal bank accounts of the Governor with the Zenith Bank Plc, were frozen by the EFCC on June 20, 2016. The EFCC had alleged that Governor Fayose received funds from the office of the former National Security Adviser, Col. Sambo Dasuki who is standing trial for money laundering. Governor Fayose is asking the court to grant a mandatory order directing the immediate lifting of the restriction or freezing placed on his accounts by the EFCC. Justice Taiwo Taiwo adjourned the case to July 4. The representatives of the EFCC and Zenith Bank were, however, not represented in court. Counsel to the applicant, Mr Mike Ozekhome, told newsmen that the EFCC has no power to freeze a sitting governor’s account.